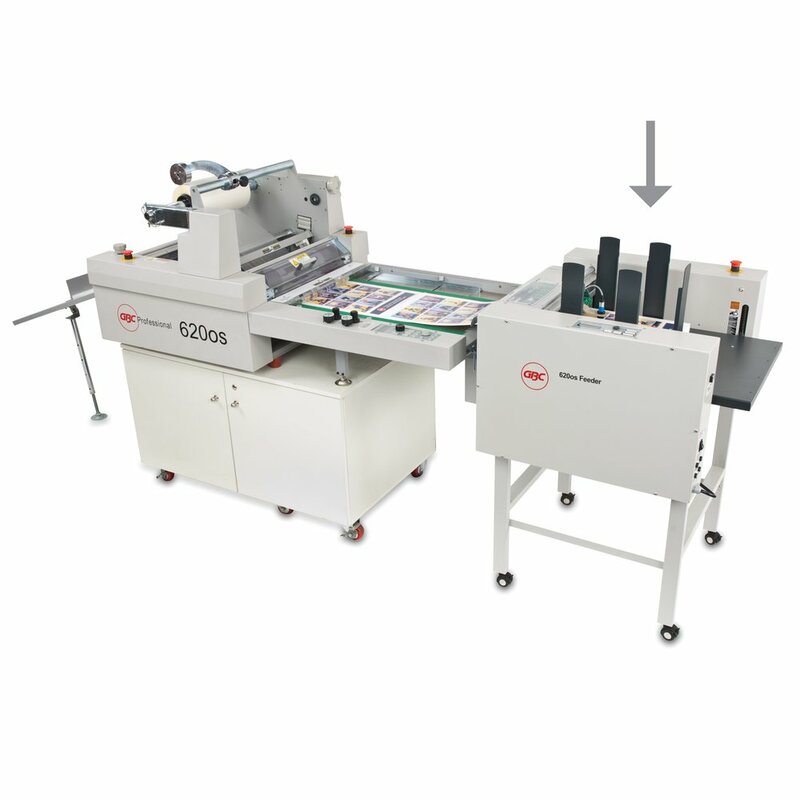 Automated feeder connects to the 620os Laminator to increase efficiency and accuracy. The smart design incorporates quick release pins to swing the feeder away for short run hand fed jobs. It then swings back and locks into place to ensure proper alignment for fully automated long run jobs. Quick change adjustments accommodate a wide range of paper stock for accurate feeding. Sheet length and overlap settings are precisely set on the laminator. Sheet feed counter tracks input. Can feed standard sheet lengths from 11" up to 30" and can feed up to 40" with the optional extension plates.